Over 80 years of commitment to top quality, reliability and exceptional durability have made Glow-worm one of the UK’s leading heating manufacturers. We have built our reputation on delivering products which are straightforward, dependable and designed with you in mind. Our product range is clearly defined to meet the needs of a wide range of UK homes. With universal flueing systems, diagnostics, user controls and installation accessories, once you have installed and used one Glow-worm appliance, it’s easy to install and use them all. Glow-worm’s combi boilers are the ideal solution for all hot water and central heating needs. We have combi boilers to suit your budget and space requirements. Our High Efficiency Energy boiler range is ErP A rated. 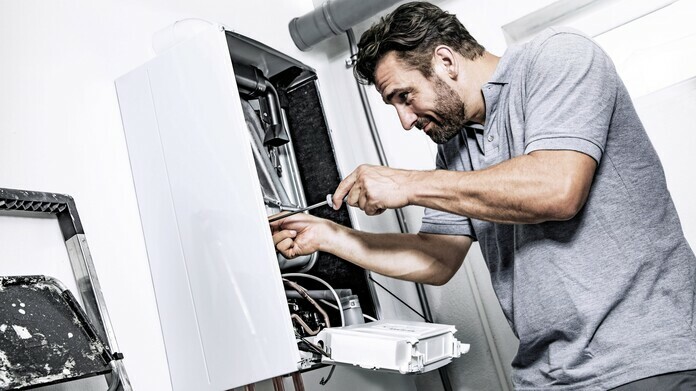 All our system boilers are designed to work as part of a complete central heating boiler system. As part of Glow-worm's complete central heating systems, we recommend Glow-worm cylinders, controls and accessories. Glow-worm’s exceptional regular heat-only boilers (also known as ‘open-vent’ boilers) provide central heating and hot water via the boiler, a storage cylinder and water tanks. As well as providing ultra-efficient combi and system boiler solutions, Glow-worm also specialises in manufacturing award-winning regular heat-only boilers. We offer a number of high-efficiency regular boilers, specifically designed to be durable and easy to use. If you’re looking for great performance within a sleek and stylish exterior, look no further than our regular heat-only range. Glow-worm's range of controls are specifically designed to work with Glow-worm appliances, creating highly efficient heating systems and further home comfort.